The hotel is great considering the rates they asked you to pay, it is very well located and very close to the major highways that would take you to all the major attractions in Orlando, my original rooms were horrible and were for smoker's (did not asked for that) but I paid a $10 fee p/room and was upgraded to a much bigger and nicer room, I don't know if I would have had you stay on my original rooms if my opinion would have been the same, but at least I can't lie. the very few people I saw from the staff they did not even wanted to look at me and they all looked like they were just coming out of prison, maybe the way they were dressed or all the gold teeth but something did not make me feel secure around them so I took all my valuables with me everywhere (maybe imp wrong, but did not wanted to take a chance)other than this the hotel was more than I expected (the rooms I upgraded to) big beds, water was super hot, very clean (microwave was broken)the pool looked great and the green areas were very well maintained and clean. The rooms are great for your money; lots of space, very clean green areas and pool are very well taken care off. The corridors were not clean when I arrived and I did not like the way some of the staff looked, they just did not inspire safety. 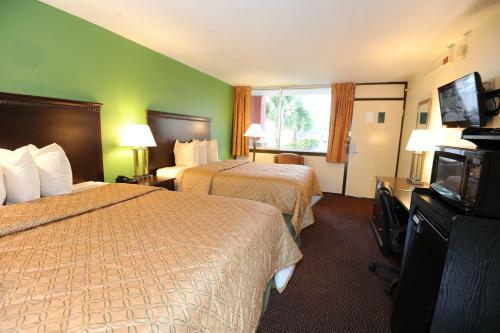 The pet-friendly Days Inn Orlando North of Universal Studios comprises 200 rooms designed for the traveler on a budget. 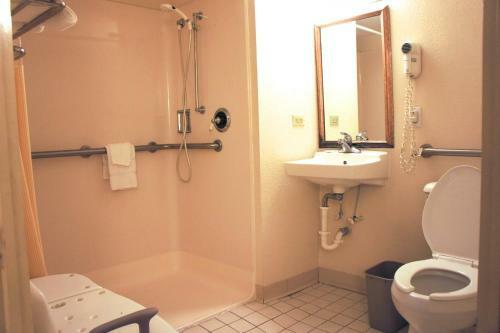 Items included with the room rate at this four-story inn are a continental breakfast buffet available from 7am until 10am, high-speed Internet access and parking. The inn operates a shuttle service to the theme parks for a fee. The property is located off Interstate 4 and is seven miles from the Orlando Civic Center and 12 miles from the Walt Disney World theme parks. Other area landmarks and attractions include numerous golf courses, Sea World Adventure, the Wet 'n Wild water park, Universal Studios, the Islands of Adventure amusement park, Gatorland, the Florida Citrus Bowl, Amway Arena, home of the Orlando Magic basketball team and shopping at the Prime Outlet Shopping Mall, Fashion Square Mall and the Florida Mall. 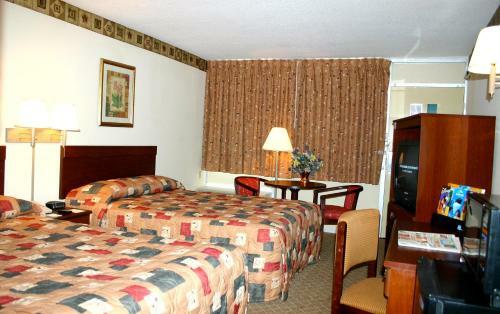 The rooms come with a choice or two double beds or one king size bed. 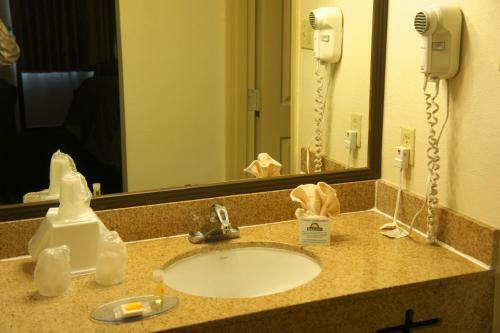 Amenities include a work desk with Internet access, 25-inch television with cable news and movie channels, in-room safe, AM/FM clock radio and a hairdryer. Microwave ovens and refrigerators are available in some rooms. Rollaway beds are available at a cost of $10 per day. This hotel has a swimming pool, on-site restaurant, games room and a sports bar. There is an IHOP adjacent to the property and other places to eat nearby include a Sizzler, King Henrys Feast, Bennigans and a Logans Steakhouse. The 24-hour front desk has information on the Orlando attractions and events.